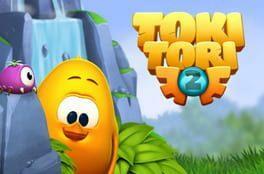 Toki Tori 2 is a puzzle adventure game in which you explore a lush forest island inhabited by strange creatures. Whistle and stomp to influence their behavior, and solve the puzzles. But what's up with that black goo? It's threatening your home world! Our unlikely yellow hero may be the star of the show, but he won’t get anywhere without the creatures he meets along the way. You can whistle and stomp to influence them, and use their abilities in your advantage. As you play, the storyline unfolds. Your goal is to get to the core of the corruption and save the island! Toki Tori 2 is available from 0.49 to 3.99 from 1 shops.